WIN A STAY AT COUNTY DURHAM'S MOST ROMANTIC GETAWAY..
GO THE WHOLE HOG AT COUNTY DURHAM'S QUIRKIEST GETAWAY - SPEND A NIGHT IN A LUXURY SUITE AT THE IMPECCABLE PIG WITH YOUR OWN HOT TUB AND SAUNA. The Impeccable Pig at Sedgefield near Durham is one of the most exciting and unique places you're ever likely to see. It's a restaurant with rooms - and what rooms! Glorious, luxurious, opulent and all with a sense of fun. You can stay in the Pig Sty, The Piggly Wiggly or even Pigs Like Fly or, like our winner, spend a memorable night going The Whole Hog - literally. The Whole Hog is the main suite, complete with a seven foot bed, freestanding copper bath AND a four seater hot tub and outside sauna! 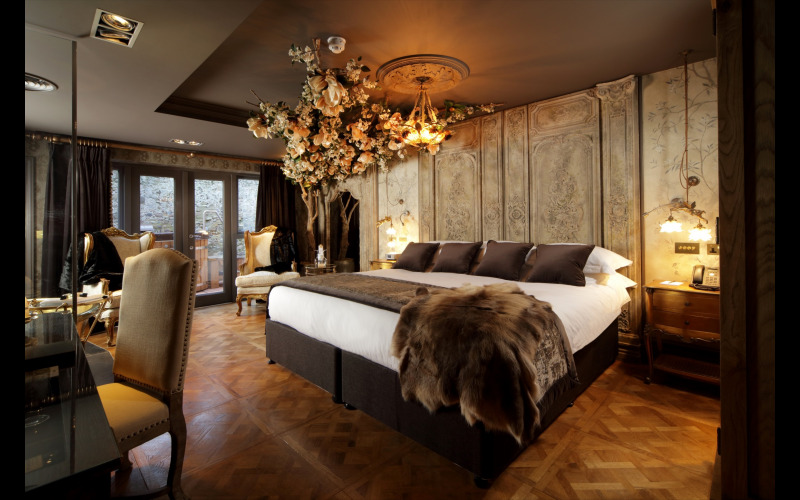 Our winner will have an overnight stay in this luxury suite and can make a real pig of themselves by enjoying some of The Impeccable Pig's amazing food for dinner - followed by a full English breakfast the next day.